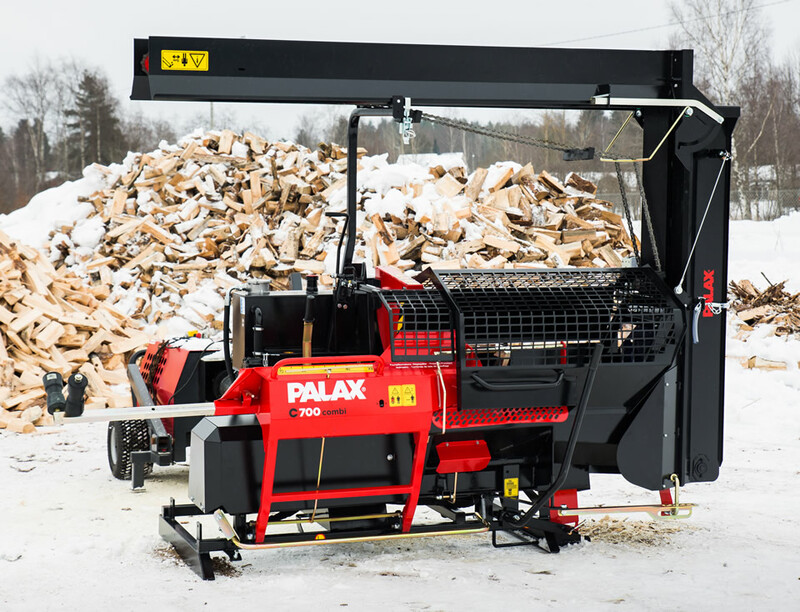 The Palax C700 Combi is an updated new version of the Combi MII model that has represented for decades the traditional line of firewood processors. 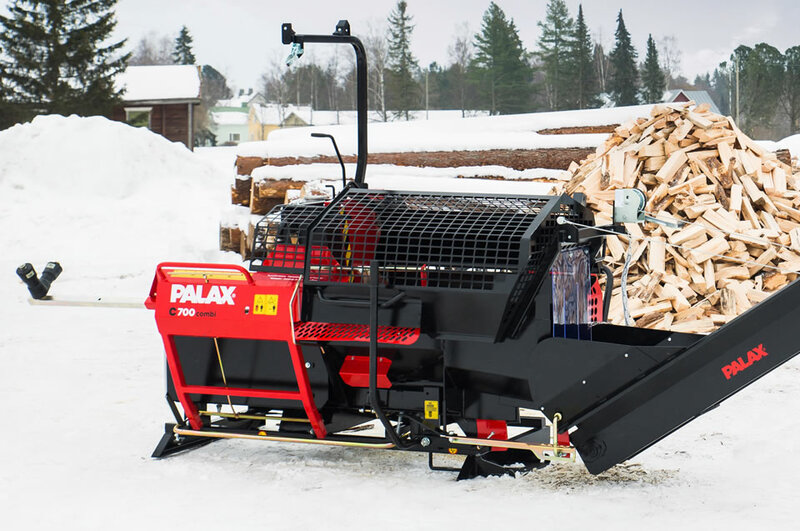 The Palax C700 Combi is a fast and versatile firewood processor for efficient cutting and splitting of trees up to 25 cm / 9.84" in diameter. The machine is also well suited to sawing slender trees, even in bunches. The machine is equipped with a tipping, spring-suspended crosscut deck. The hard-metal blade of the machine is immune to impurities in the tree. 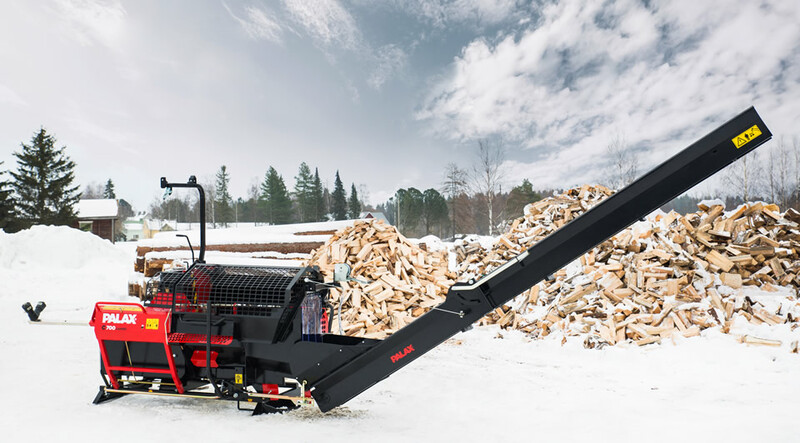 As standard, the machine is equipped with a 4,3 m / 14.1 ft long, foldable discharge conveyor equipped with two chains. It is easy to fold the conveyor into the transport position. The conveyor is equipped with a lifting winch and a handy chain lock. Getting the conveyor ready for operations or transport is quick and easy. Equipped with lubed-for-life ball bearings. Thanks to these bearings, the machine operates precisely, easily and virtually without maintenance. Also the chute is equipped with a sensor so even a small log is able to activate the splitting motion. Automatic tightening of the V-belts. Keeping the angular gear belts at the correct tightness reduces strain on the transmission and significantly extends the service life of the belts. The height adjustment of the ax is stepless, easy-to-operate and reliable. The ax is equipped with a quick-release. 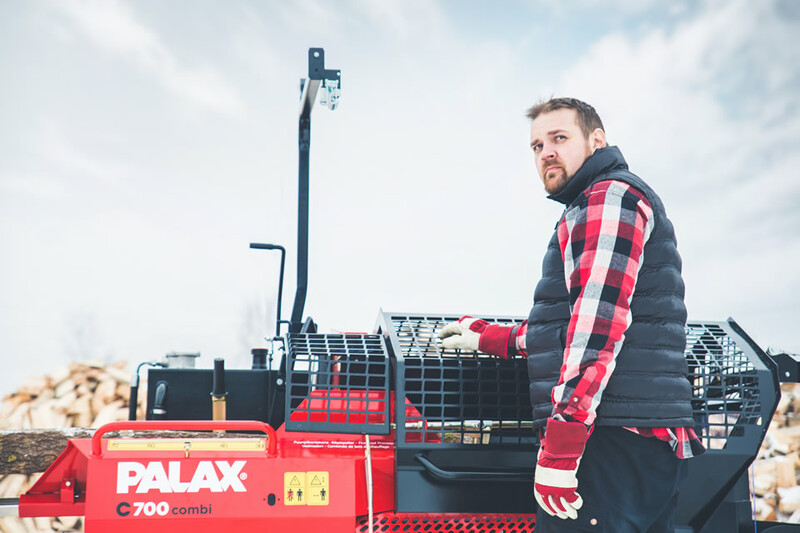 The C700 Combi is available as a PTO tractor driven or with a gas engine. A trailer, suitable for road transport, is available as an option. Articulated shaft at 450 r.p.m.